It looks very, very beautiful, Barbara. It is hard for me to let go of summer this year. I love everything about it!! I'm not ready to decorate for fall,,I'm afraid that puts the end to the boating.,and I'm not ready for that!! But fall is my favorite time of year!! Love your fall decorations. I really like everything that you put on the mantle and fireplace. Yes, I am just waiting until Tuesday and it's full steam ahead for my fall decorating. I can hardly contain myself. Now if all my aches and pains go away for a couple of days, I'm good to go. 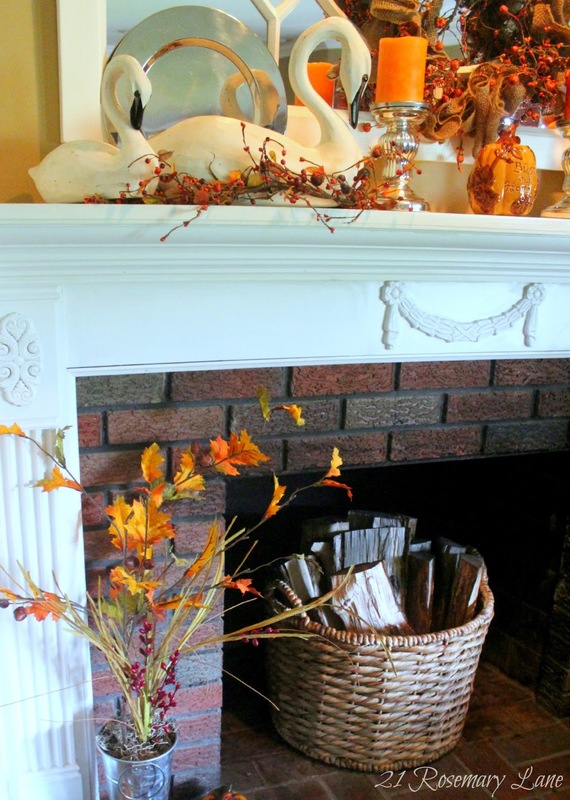 Barbara, I love your mantle... and that you said that fall was Mother Nature's Mardi Gras. What a great comparison! 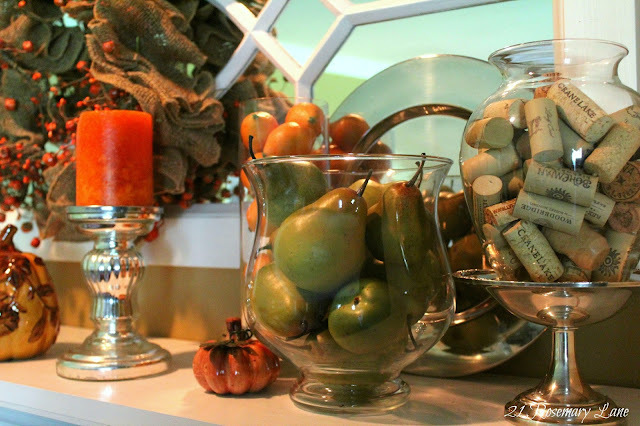 Great fall decor... the mirror really reflects your pretty design. 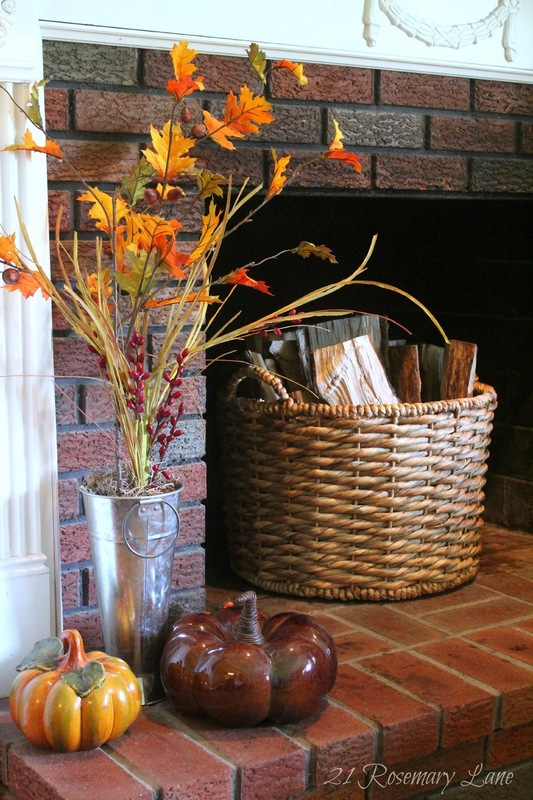 I usually decorate for Fall after the holiday weekend. But i am not feeling it this year. Think I will wait a bit. It's 90(ish) and HOT!!! The Sycamore in the neighbourhood is already a nice golden and has lost some of it's leaves.... My favourite season, but might ( MIGHT) wait for a couple more weeks. Oh Barbara! I just love everything! 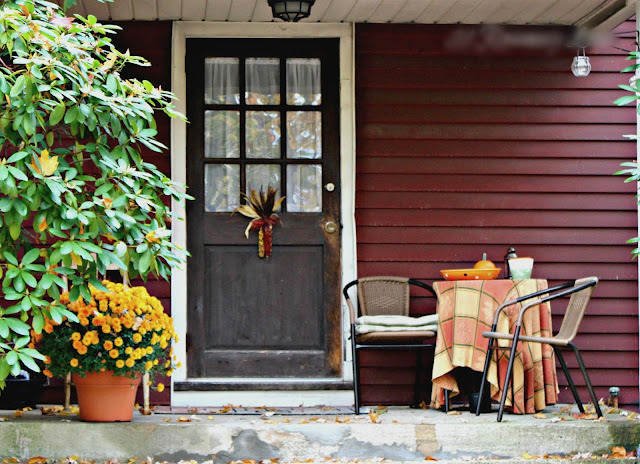 I love the simplicity of the wreath, just some burlap and berries. Really cute! Now I'm REALLY ready for fall! Love the mantel and hearth, Barbara! I can't wait to dig thru my boxes this weekend! I usually start around September 1st. I have been looking around for inspiration. I 'think' I know what I want to do; but, you know how everything can change, once you start playing! 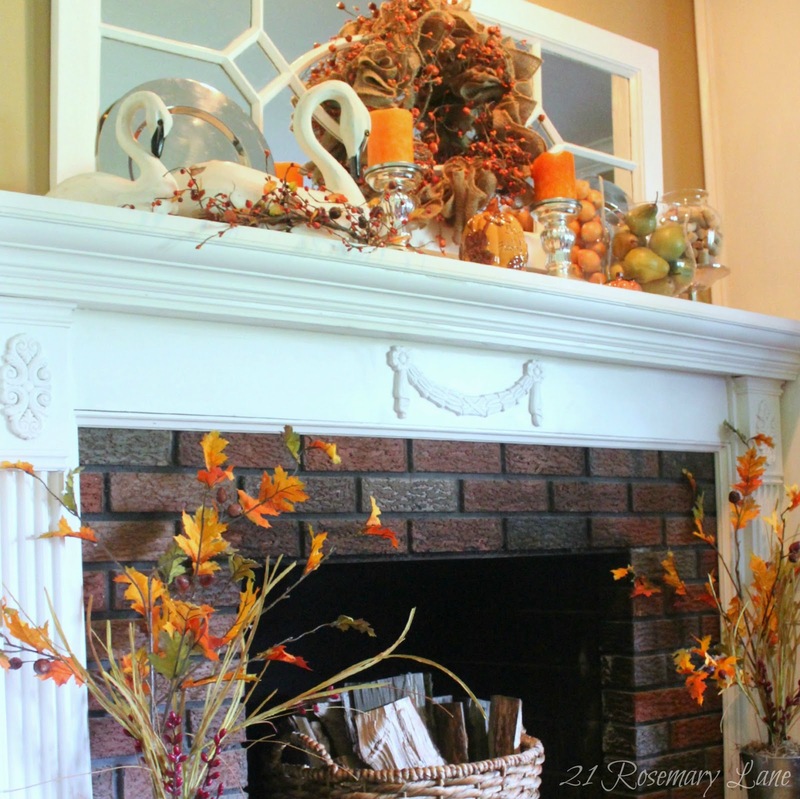 Your mantel looks beautiful! You're getting ahead of the Fall game! I better start dragging my pumpkins down from the attic. Barbara, this is gorgeous. I was in Kirkland's today, and they have some beautiful pumpkins similar to those on your hearth if you want to add to your collection. 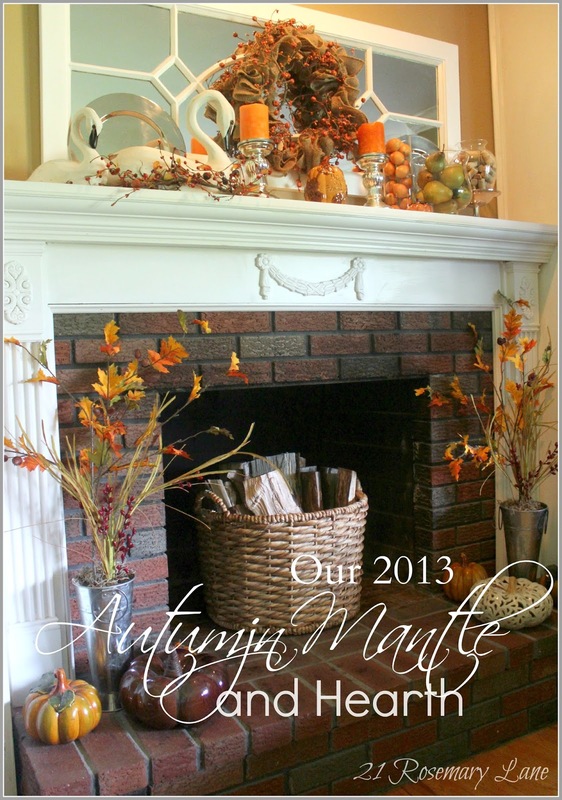 :) Love your mantel. Your mantel and hearth look so pretty and festive for fall. Now if we just had the cooler temperatures to go along with it. 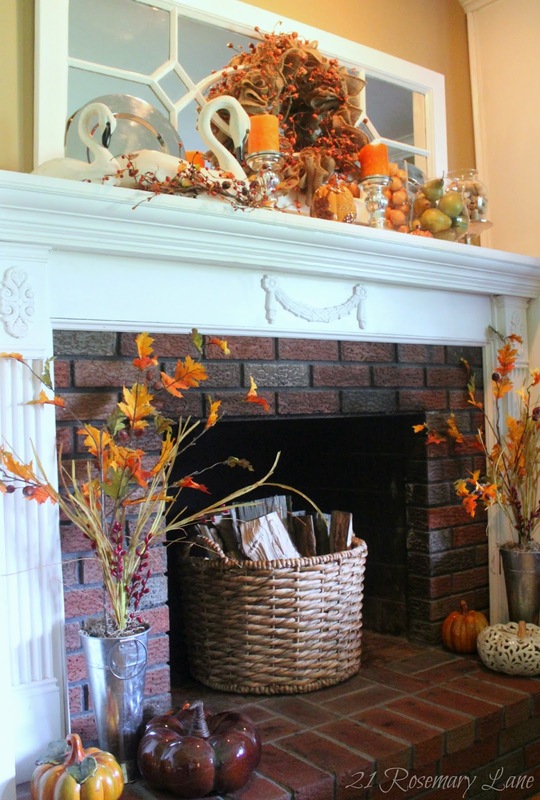 Love, love, love your fireplace. The fall decor is just beautiful. 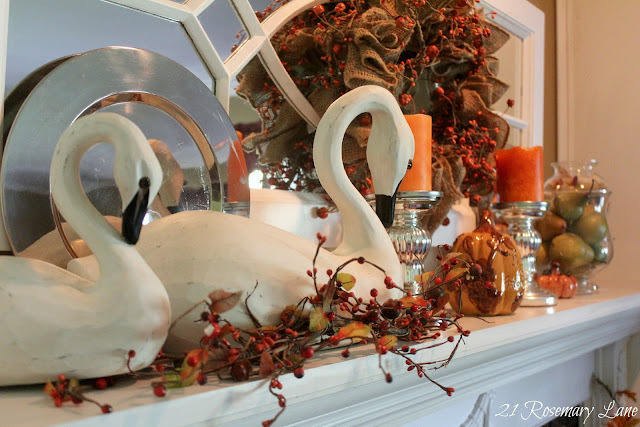 The swans are so unexpected and yet work so well on your mantle scape. 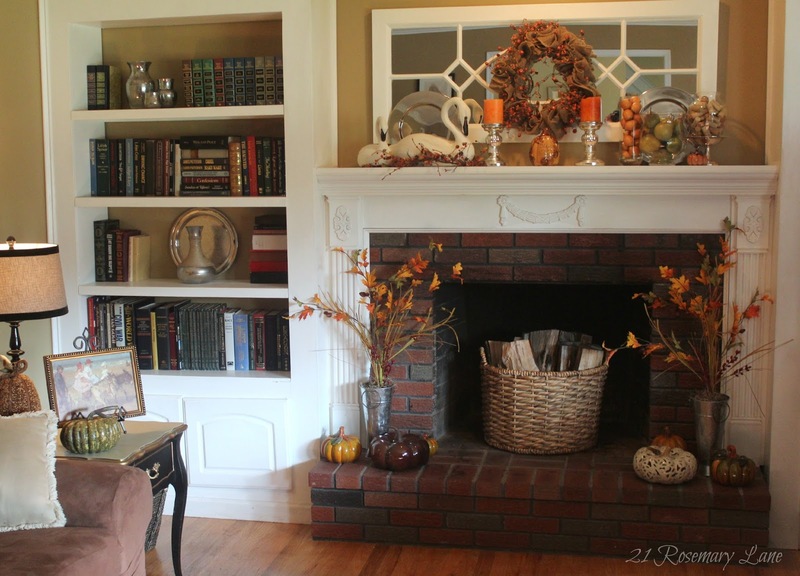 Wise move of you to make sure your mantle was wide enough to accommodate your decor. 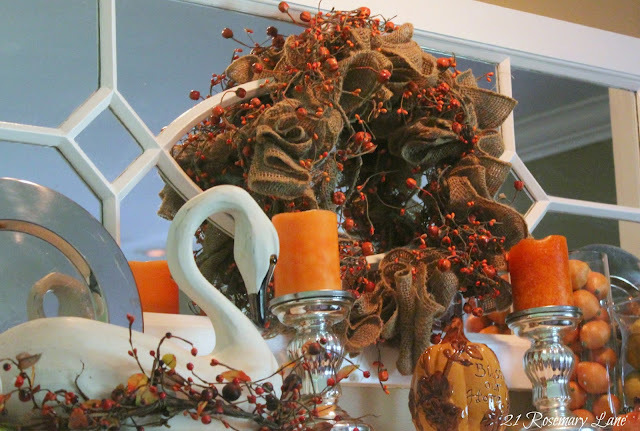 The mirror is stunning layered with the wreath and the plates. Great job. 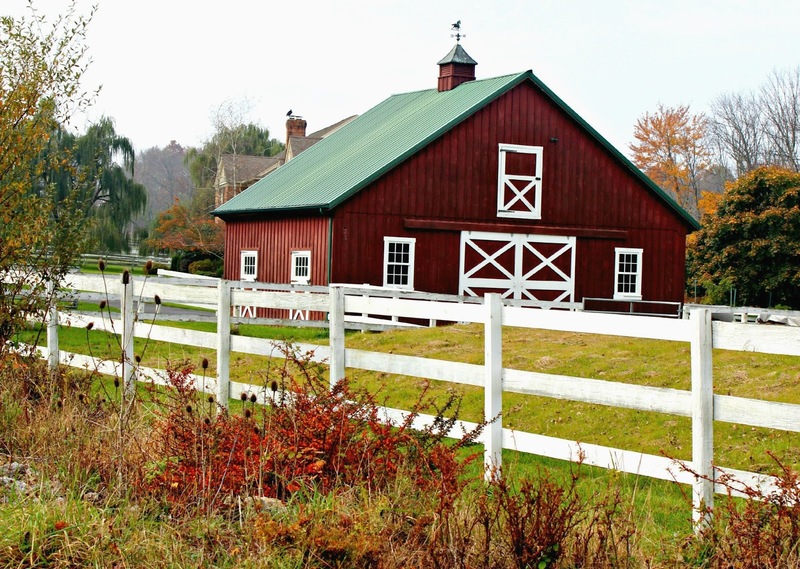 I am in the process of trying to get my own blog set up. It's rough when you really do not know how to use the applications out there. I have been trying to figure out how to watermark my pictures all week. Very pretty mantle and fall decor. 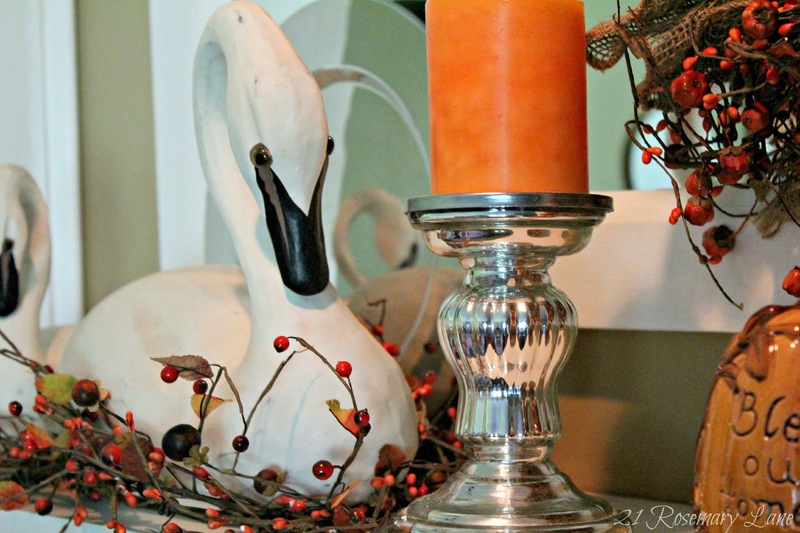 I like your swans. They are a unique addition to your fall theme.